The Cordillera Blanca, nestled in the Peruvian Andes, is one of the biggest mountain ranges in the world with many peaks more than 6,000meters. 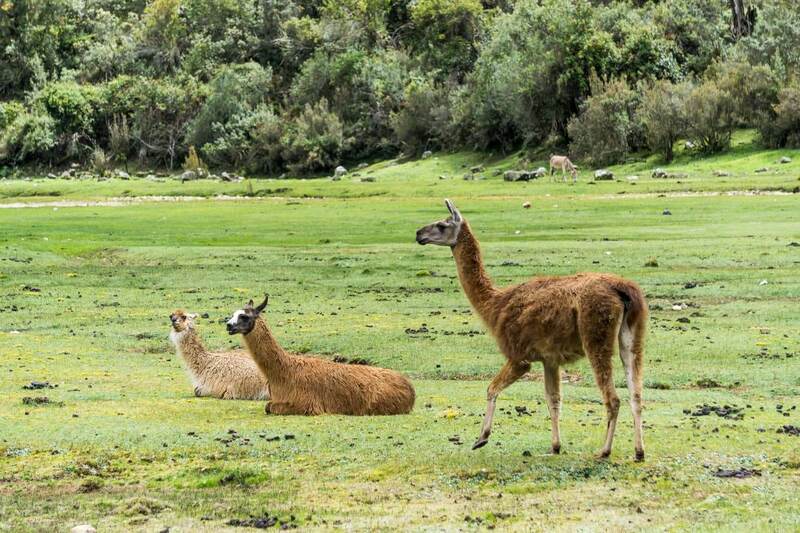 A lot of them can be seen on the Santa Cruz Trek, a 50km trail through the mountain pass surrounded by glacial peaks and turquoise lagoons. Its name “Blanca” (white in English) comes from the constantly snow covered mountains. 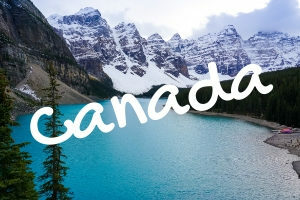 The mountain range features more than 700 glaciers and more than 30 peaks over 5,000 meters. The most famous mountains of the Cordillera Blanca are Huascaran, the highest peak of Peru sitting at 6,768m and Alpamayo, voted as the most beautiful mountain in the world at 5,947m. 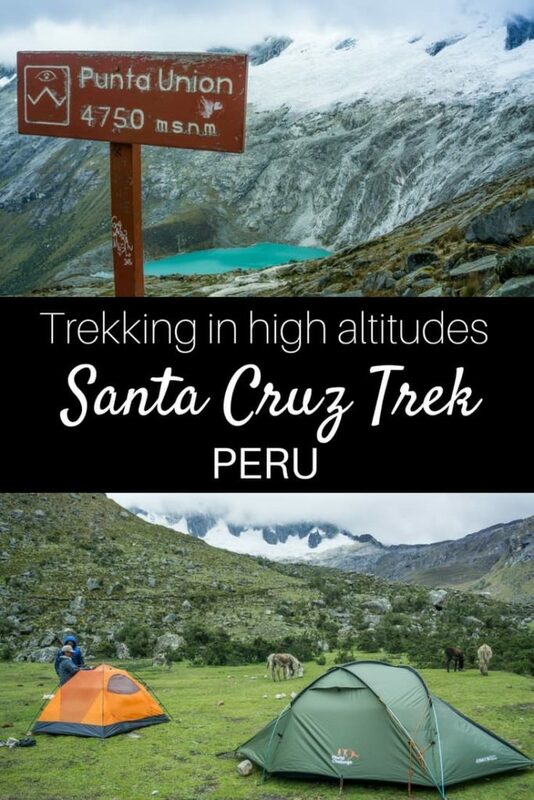 Santa Cruz Trek is one of the most beautiful treks in the world. Given its high altitude, proper acclimatization before the trek is essential. The region offers many more difficult trekking routes. 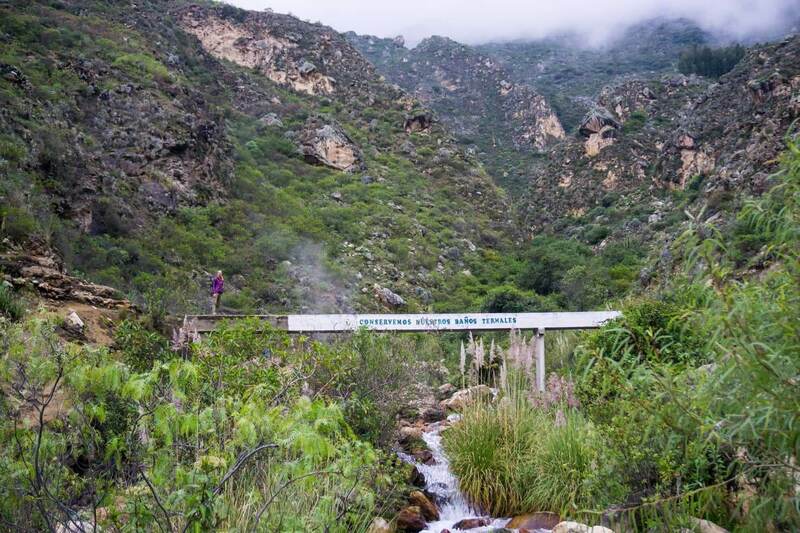 Santa Cruz Trek is usually done in 3-4 days and considered the easiest one, also suitable for beginners. 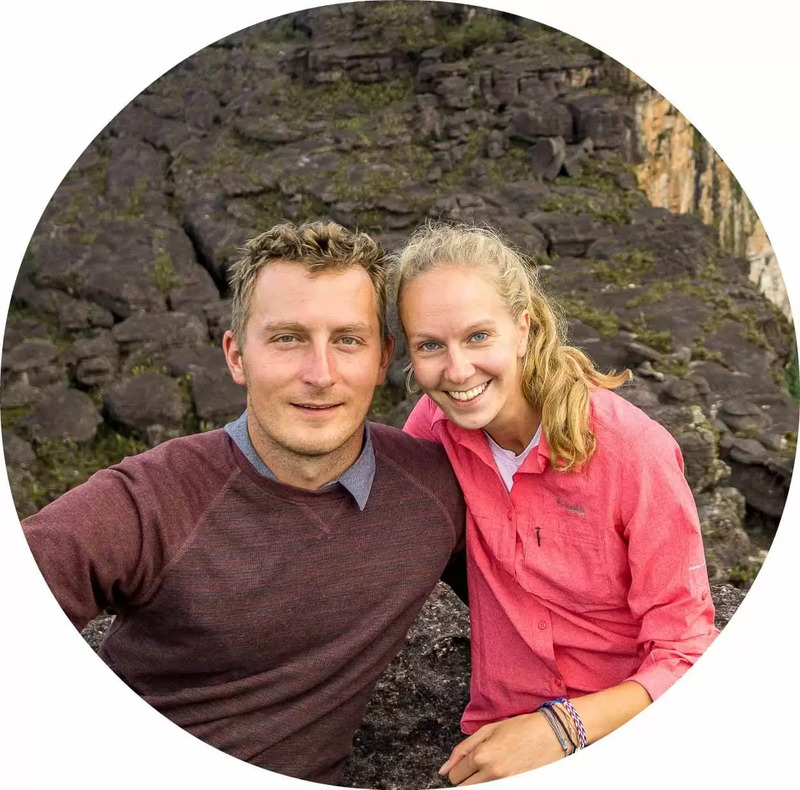 After trekking Mount Roraima in Venezuela a few weeks prior, we were more than eager to explore the Peruvian Andes and many adventures it has to offer. 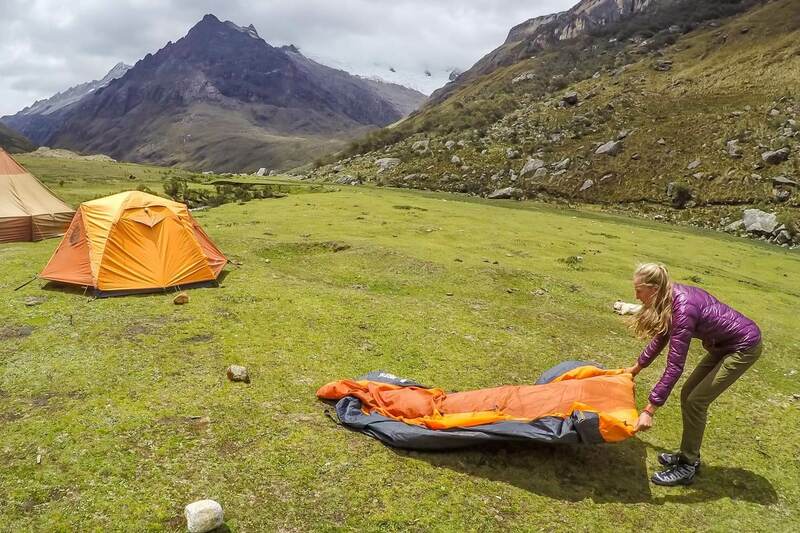 While we spent time in Peruvian Andes, we based ourselves in the outdoor adventure hub Huaraz. It’s the biggest city in the region from which most of the fun starts – hiking the famous Laguna 69, off the beaten biking adventure through Canyon del Pato, or mountaineering Nevado Mateo and also Santa Cruz Trek. 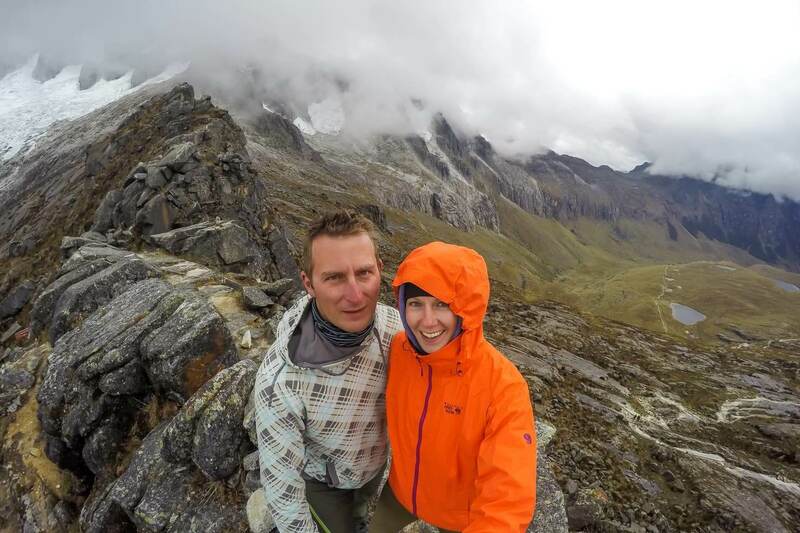 We arrived in Huaraz in January, the rainy season. Many of the treks were closed for the season due to extremely challenging weather but travelers were leaving for Santa Cruz Trek every day. 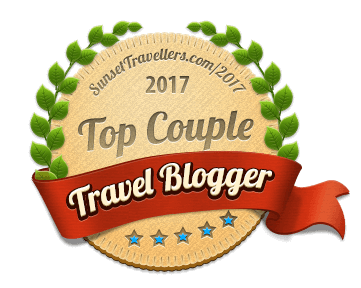 It was our obvious choice and an introduction into high altitude multi-day trekking. Our first day started at 6 am when our minivan packed with camping gear and enthusiastic hikers left Huaraz. We headed towards the Huascaran national park, passing many local markets set up along the road. After the town of Yungay, the dirt road was so bumpy it woke up everyone who was trying to catch up on sleep. The winding road through the national park took around 5 hours but the views as we got higher into the valley were magnificent and we couldn’t wait to get closer. 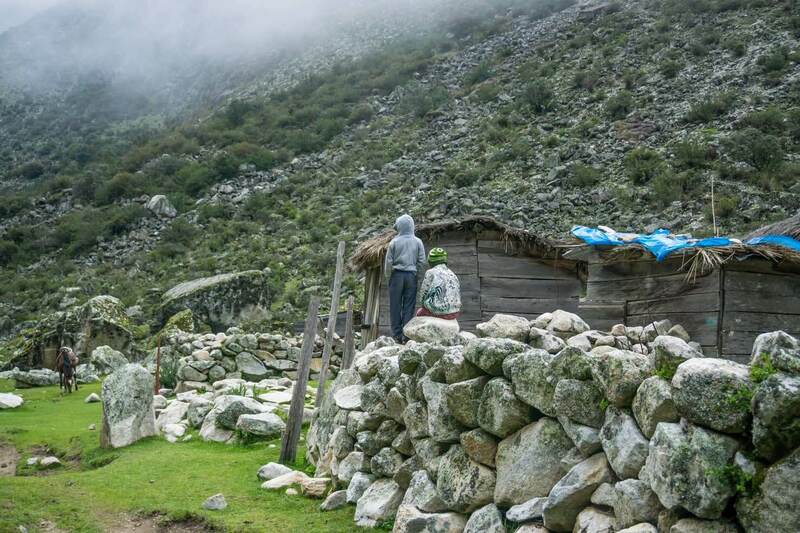 We started our trek in village Vaqueria because the ascent to the mountain pass is easier, although the trek can be done in either direction. 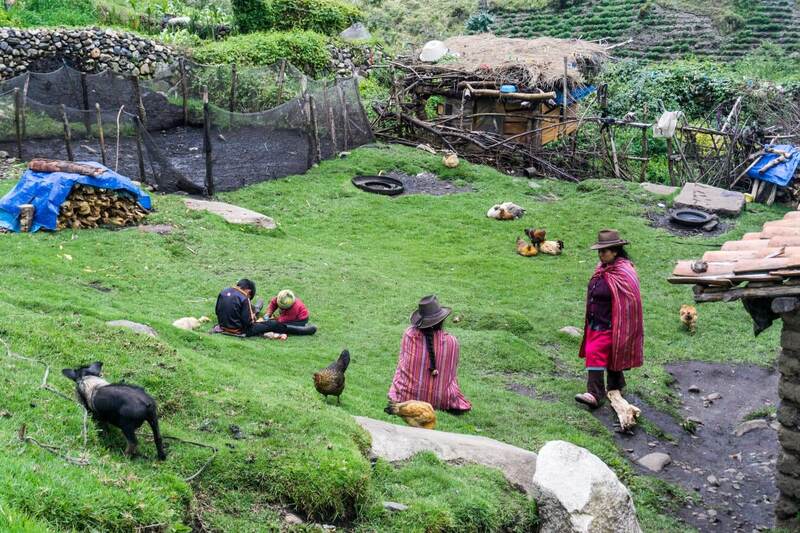 Passing through the small village, we got a glimpse into the lives of Quechua people living in the Andes. Kids were smiling at us, waving, yelling cheerfully “Hola!” from every direction. Few women were selling passing tourists gloves and hats they made. They were carrying their little babies wrapped in a woven scarf on the backs, something that is, funnily enough, considered the coolest eco&ergo invention in the western world. We’ve noticed this carrying technique everywhere in Peru, didn’t matter if the women were carrying babies or haystacks, they were wrapped on their backs. After 3 hours of leisurely hiking slightly uphill, we set up a camp in the Paria Valley at 3,870m. We were lucky and had a great group of people on the trek. The best way to enjoy the evening after dinner was playing “Merda”, a game our Italian trekkers came up with. The second day started with the sunrise. A hearty breakfast was prepared for us as we got ready for the hardest part of the trek, trekking through the mountain pass. Surrounded by 5,000m mountain peaks we watched the rain clouds form and disappear, grazing cows and llamas keeping us company. We crossed a creek, filling our filter bottles with much-needed water and started to slowly climb up the mountain pass, the end of the Huaripampa Valley. The mule driver and our cook climbing the pass with several mules carrying our supplies made it look very easy. And it would be easy for anyone born and raised in the high altitude. A dog appeared out of nowhere and started walking alongside. Our guide told us that’s what street dogs from the village do. They join trekking tourists in the mountains while keeping them company and making sad eyes when they have snack breaks. Smart. And I couldn’t resist always splitting my biscuits with the dog. I named him Biscuit. Michal was way ahead of me and I needed more breaks on the steep ascent. The high altitude made it very difficult for me to breath and Biscuit encouraged me to keep going. He started first, often turning his head back to see if I was walking or having another snack. 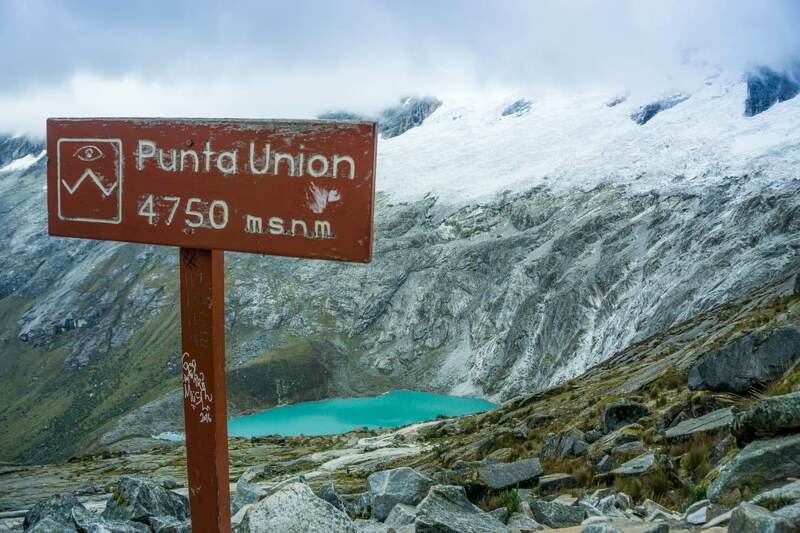 When we reached the highest point of the trek, Punta Union mountain pass at 4,750m, I was so stoked I made it that tears of pure happiness started rolling down my cheeks. And that wasn’t even the best part. We climbed the few rocks to get even higher and could see both valleys on either side while standing on the mountain range as if we were a part of it. A very special and proud moment for both of us. Going downhill was a piece of cake. Really. I don’t know if it was the endorphins or I was just high on life but I ran the last part to our campsite. My lungs sure got a difficult training that day. We set up the tent, ate dinner and played another game of Merda. What a day! This was a long day. We had to cover the last 26km because few people from our group wanted to finish the trek in 3 days. The trail was easy, mostly flat and we kept staring on the waterfalls emerging from the mountains around us. 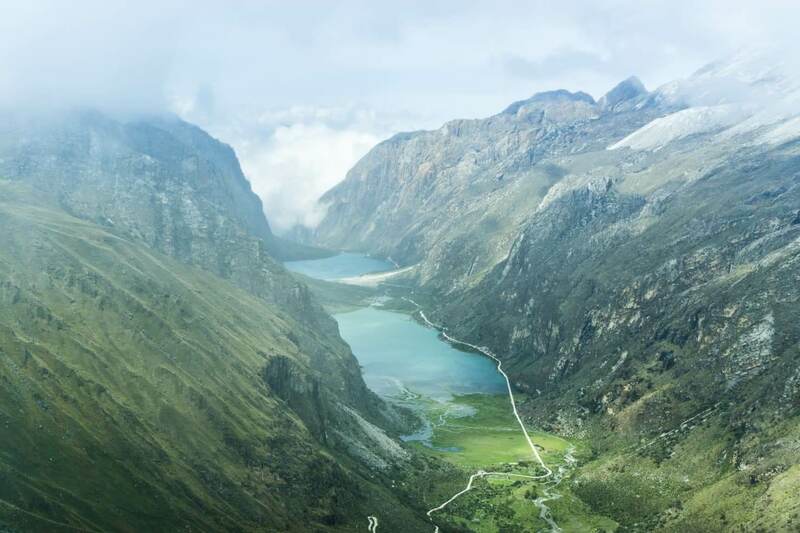 We passed a brightly coloured green Jatuncocha lagoon and several peaks famous in the climbing circles – Alpamayo (the most beautiful mountain in the world), Artesonraju( the inspiration for a Paramount Pictures logo), Santa Cruz and many others. The landscape on the last part of the trek suddenly changed. Cactuses were growing along the sandy trail and bustling river was leading us to Cashapampa, the end of the trek. The little village has irrigation channels set up from the mountains which gave us a great opportunity to soak and cool off tired legs. End of the trek our group celebrated with a few beers. Part of the group headed back to Huaraz but few of us were in no rush at all. We enjoyed the moments after the trek and stayed with a local family at their house. In the morning, we went to the nearby natural hot springs, sharing the pool with local villagers. We said goodbye to the Biscuit, our trusty friend and went back to Huaraz. Our group met with the guide at the bar where we celebrated the successful trek with a national Peruvian drink, Pisco Sour. Santa Cruz Trek is the most popular in the area. 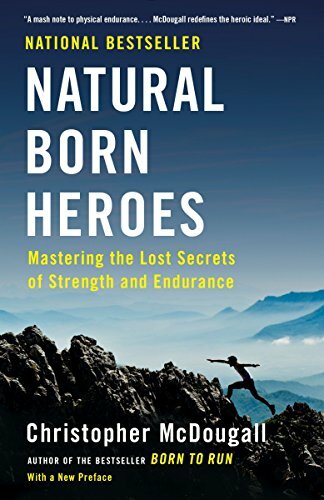 Other treks require more days to complete and to have a decent fitness level. 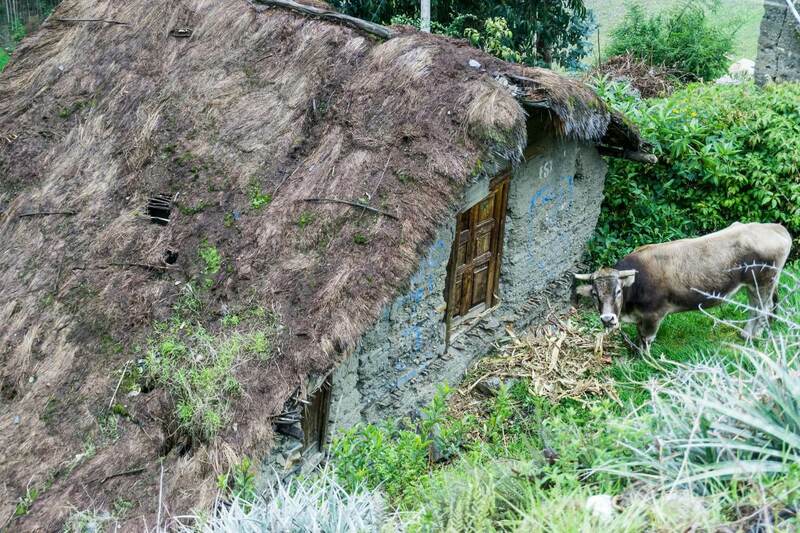 This trek is suitable for non-hikers after a few days of acclimatization. 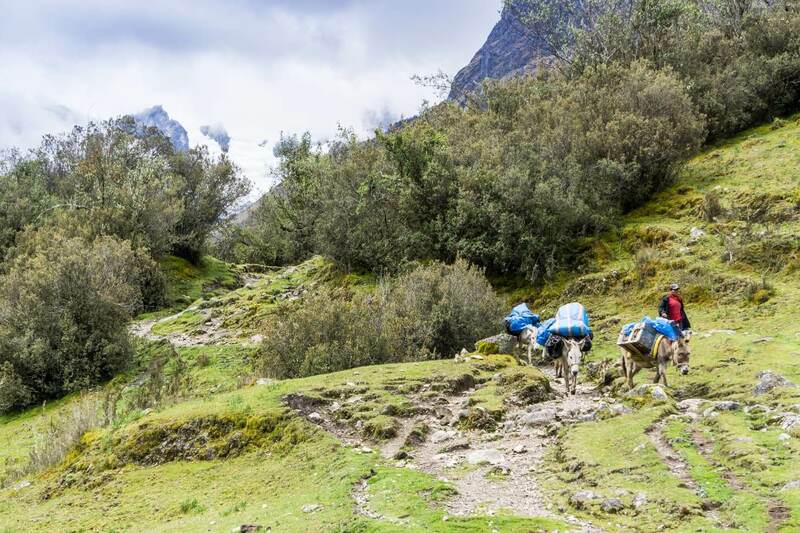 We’ve completed the Santa Cruz Trek with a guide and an international crew. We didn’t have much multi-day trek experience at the time or any camping gear. Plus, traveling in Peru is very budget friendly. Trekking Santa Cruz can be done independently or with a local trekking company. The trek can be done either from Cashapampa or Vaqueria. We started at Vaqueria where the trail has an easier ascent to the mountain pass. 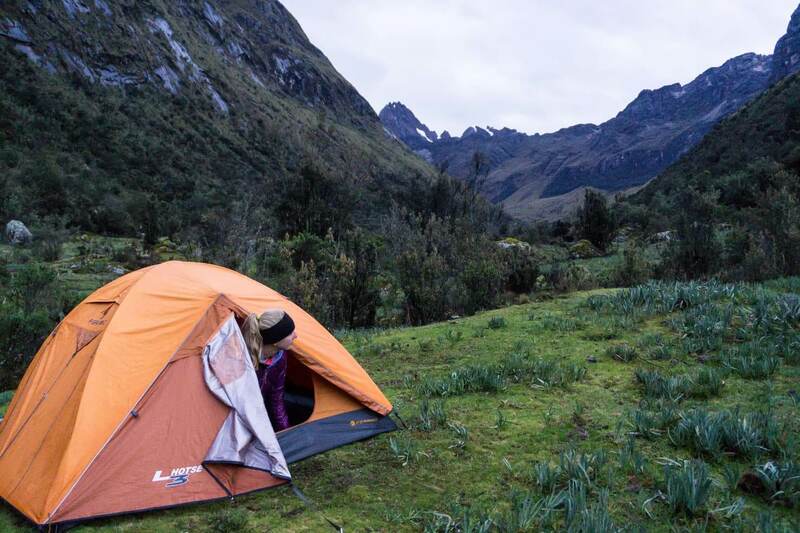 If trekking independently, it might be easier to stay the night before the trek in Carhuaz or Yungay as they are much closer to the entrance of the Huascaran national park. 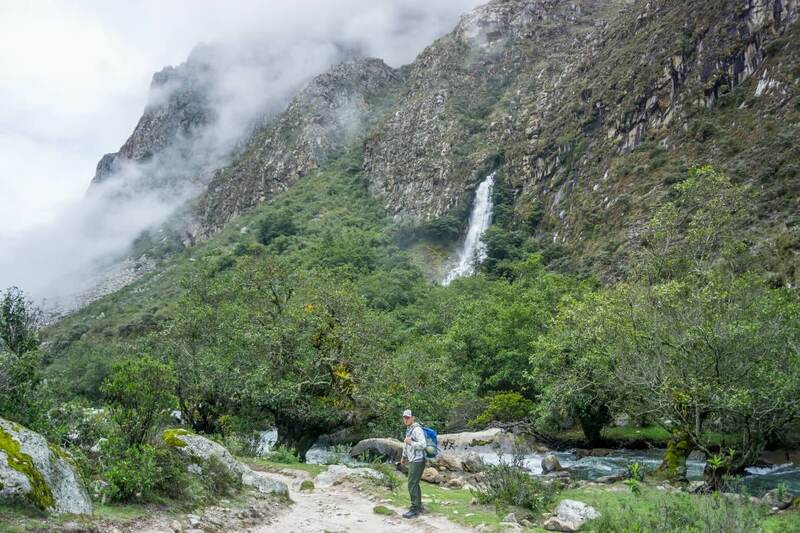 If starting from Huaraz, you can either arrange a transport to Vaqueria through the agency, joining other hikers in the minivan or take a colectivo (shared minivan) to Yungay and then another one to Vaqueria. Huaraz offers better supplies, both grocery stores/markets, and outdoor stores. Most agencies offer camping gear for rent. Going independently, the easiest option is to start in Vaqueria where a minivan from trekking company can drop you off and finish in Cashapampa from which is very easy to catch a colectivo back to Huaraz. The trail is well-trodden and easy to follow but I’d buy a map if going independently. We went with Galaxia Expeditions tour company and had a great time, absolutely no issue, everything was well taken care of. 300 soles (90USD) per person (might be different in peak season) – 4 day trek including: transport, guide, food (cooked breakfast & dinner, snack bag for lunch), drinking water (boiled water from the stream), tents, mattress, mule driver and mule to carry the bags, separated kitchen an dinner tents with table and chairs. If you’re going with trekking company, they will provide you with a duffle bag to put all your stuff in. Make use of it. It’s usually allowed to take max 5kg per person. You don’t want to use your own backpack as it might end up torn, or dirty. This bag will be carried by the mule so you only need to carry a daypack. 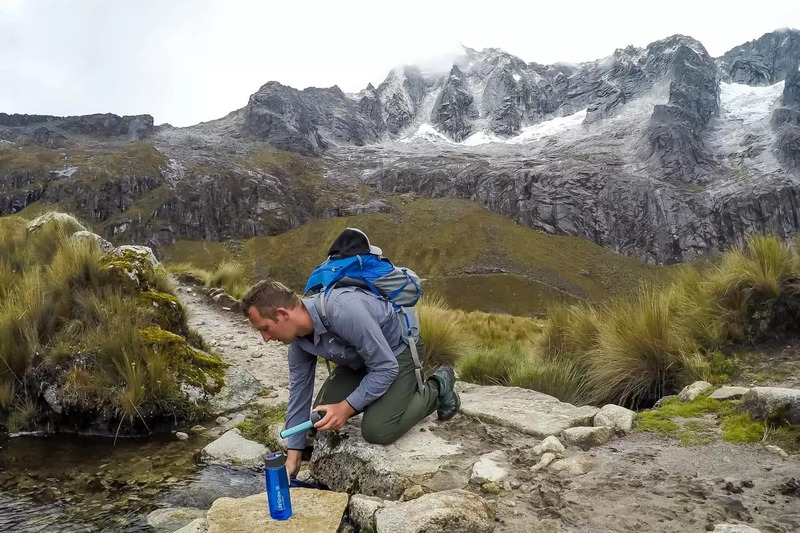 Lifestraw water bottle – We’re big fans of this bottle with filters and used them all over South America. Drinking water is provided every day by boiling water from the streams but we prefer carrying only about 1liter. Later only add the filter and fill up on the way, which was very easy during the trek due to many streams. Headlamp – it’s dark after 7 pm. You’re close to the equator so this applies all year round. Hiking poles – the ascent to the mountain pass has many switchbacks and you’ll be taking lots of breaks because of the altitude, therefore, no need for them. I don’t know of anybody who used them on this trek. Respect local people, wildlife, and archaeological sites. Only take photographs and always ask for permission before photographing people. Reminder: don’t litter and collect all your garbage out from the national park. I’m sure our readers are cool and respectful people but it doesn’t hurt to remind once in a while. 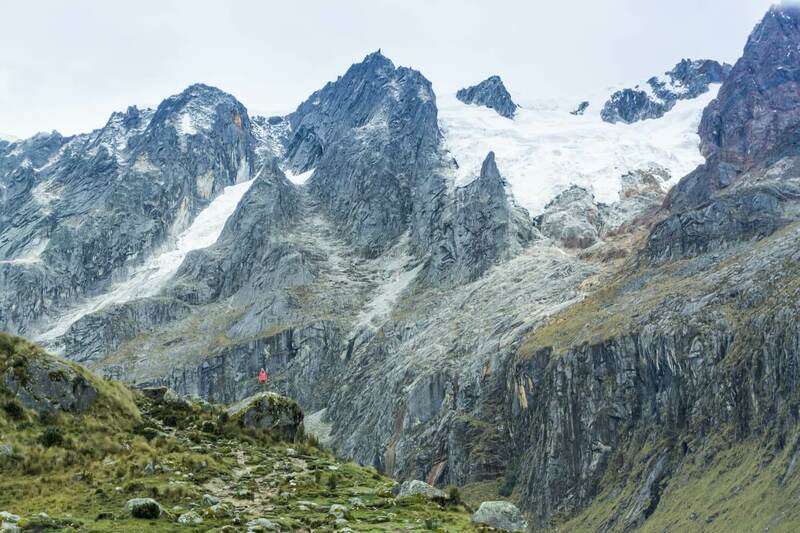 If you’re coming from Lima or an altitude below 2,500 meters, take a few days for acclimatization and get to know Huaraz. 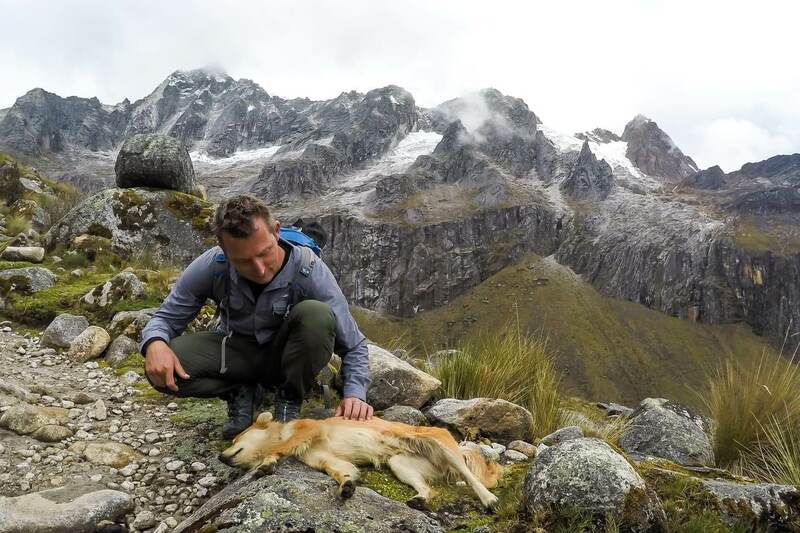 Altitude sickness can ruin your trek and should be taken seriously. Read more about altitude sickness to easier notice the symptoms (if ignored, altitude sickness can kill you). 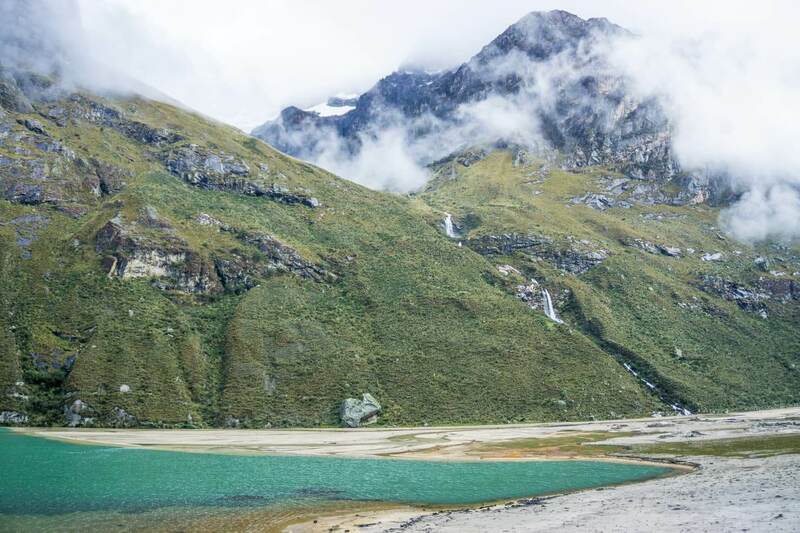 We’ve acclimatized in Huaraz for 3 days, went on the acclimatizing hike to Laguna 69 and drank gallons of coca tea in Peru, a common local drink to help you cope with the altitude. May to September is the dry season which is why most of the visitors come at this time. We’ve trekked in January and apart from clouds, we had a great weather. As with any weather in the mountains, it changes quickly. You can expect sunshine and snow storms any time of the year. 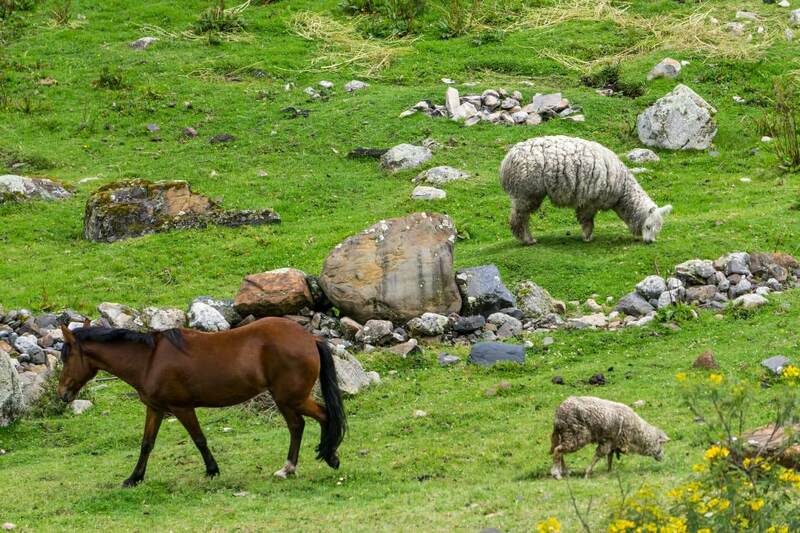 Make sure you visit another side of Peru other than Cusco only and come to Huaraz. This place is much less crowded and I guarantee you won’t leave disappointed. Enjoy your time in the mountains and have fun! Do you like trekking? 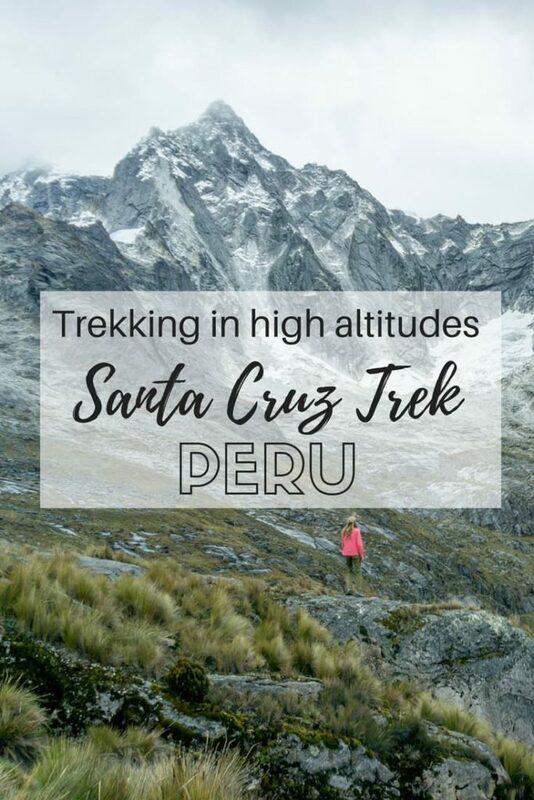 How does Santa Cruz trek sound to you?